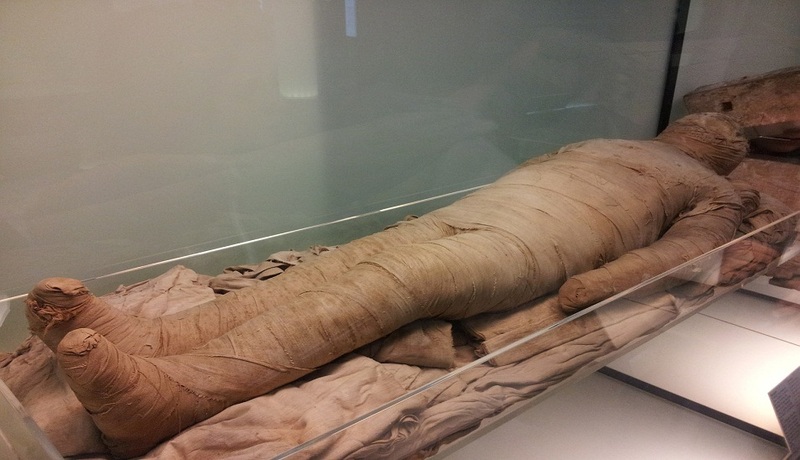 What do thousand year old mummies and present day humans share in common? Heart disease. An interesting and provocative Kansas City based study, involving 137 mummies from four antiquated cultures found evident signs of atherosclerosis, a hardening of the arteries, in 34 percent of the mummies they examined. When fatty material known as plaque collects along artery walls atherosclerosis is occurring, and as it thickens increased pressure is put on the heart and artery walls to pump blood throughout the body. In order to diagnosis the mummies with atherosclerosis, researchers used Computed Tomography (CT) scans to measure calcium and plaque buildup that had accumulated on artery walls. I am fascinated by the findings, but undaunted in my conviction that regardless of the calcified plaque, we can control the occurrence of arterial disease. Following diets similar to the Hunter Gatherer and especially, the Mediterranean Diet, which has received a lot of press of late, are ideal in combating the spread of atherosclerosis. This means consuming lots of vegetables, fish and seafood with little red meat, olive oil, fruits, nuts and berries, legumes, and moderate amounts of red wine with the evening meal. These ancient cultures had campfire smoke, daily life and death stresses, and all sorts of other nutritional issues to deal with that likely caused inflammation in arteries. However, few survived long enough to die from it, so atherosclerosis didn’t exert strong selective pressures. We modern humans aren’t natural selected to be resistant to arterial plaque and its ravages. As I told the local press who contacted me about the study, if we live long enough, calcified arterial plaques may be unavoidable regardless of the century in which we lived, but heart attacks and cardiovascular deaths resulting from those plaques are entirely avoidable in the 21st Century. Now we just have to avoid the mummies’ fates of falling into a glacier crevasse or getting shot in the back by an enemy arrow!